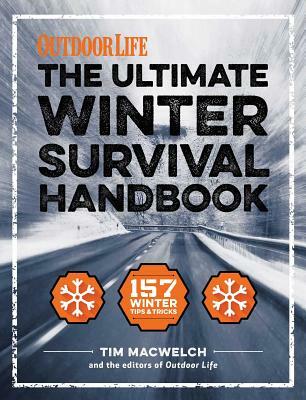 The go-to-guide for living through the worst of winter from the New York Times best selling author, and survival expert, Tim MacWelch. The life-saving Winter Survival Handbook brings everything you need to survive the harsh winters and extreme emergencies directly to your frostbite-free fingers. Tim MacWelch is the go-to-guy for survival techniques and definitely someone you want next to you in your snow cave. With his fourth book, the Winter Survival Handbook, he's going to help you survive the average and brutal winters. Practical Hints for Everyday Life Don't want to spend 20 minutes sitting in driveway waiting for your car to defrost? Learn how to winterize your car, dress for the polar vortex, drive on black ice, keep your home safe and warm, and everything in between. Extreme When danger threatens you and your loved ones, you'll be ready to combat any dire circumstance. Be prepared for the worst: a major power outage, a walk through a whiteout, a fall through ice into freezing water. Wilderness Survival Freezing and stranded in the middle of nowhere? Wilderness survival expert MacWelch knows what you need to stay warm, survive, and make it out alive. Learn how to build a snow cave, shoot a frozen rifle, make a fire in a snowstorm, and much more. Pick up a copy today for your house or glove box and stay safe this winter. Tim MacWelch is the New York Times bestselling author of Prepare for Anything, Hunting and Gathering, and How to Survive Anything. He is Outdoor Life magazine's survival blogger and is also the founder and head instructor of Advanced Survival Training school. He has had a love of the outdoors from a young age, growing up on a farm in the rolling hills of Virginia - where it gets pretty darn cold. Tim has been an active practitioner of survival and outdoor skills for over twenty-four years; and he has been actively teaching survival skills for the past 16 years.